Google Cloud Platform Reviews Recently Reviewed! 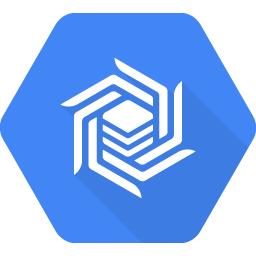 Pros: In the context of education, Google Cloud Platform (GCP) is wonderfully accessible, powerful and useful. Connecting to virtual instances is simple when deploying both Linux and Windows. The instances can be accessed through SSH and there is even a Chrome extension (Chrome RDP) that facilitates connections to Windows under any operating system in use. The platform is extremely well integrated with courses that the same company offers as part of their MOOCs. Instances are responsive and allow to really dig deep without the fear of breaking anything for real. They each get their own IP address accessible publicly so it is a breeze to launch background services and servers inside an instance and test functionality from the outside world. I am not personally familiar with all the tools available, but I know I can count on the platform to support any future development I might do with big data and machine learning. Because Google also offers open source libraries such as TensorFlow which are an integral part of the platform, I know I will not be limited with scalability issues anytime soon when relying on this service. Cons: Like any software of comparable complexity, the hardest part is always getting started, because everything feels so overwhelming. When opening the dashboard for the first time, you can click on the menu to access an impressive long list of available products. Since there are so many aspects to learn, I would find it very useful to have a shortcut next to each item that goes directly to the most relevant documentation page on the subject. I have also been annoyed once or twice in a MOOC connected to a virtual instance on Google Cloud Platform when I was informed that the instance was ready but in reality I would still need to wait longer for all tools to be properly loaded, hence some confusion was generated from the fact that I would have to close and re-open the instance to see a new file appear or something similar. I wish the communication between GCP and the information available from a course connected to the platform could be more accurate. Knowing this little pitfall and knowing there is a very good documentation available with many tutorials does help to get pass those initial hurdles. Overall: The most direct and consistent way I have been interacting with Google Cloud Platform was when I took the course "Google IT Support Professional Certificate". 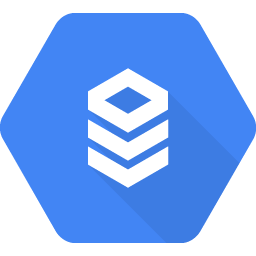 This course frequently makes use of GCP to explain real-life situations and I learnt a ton thanks to the doors that GCP open for you. It is possible to set up modified instances, which makes it a perfect learning platform for many different backgrounds in technology, including topics such as technical support, data analysis, data visualization, machine learning, security, etc. I have benefited tremendously from its many features and I expect to solve more complex problems in the near future with new skills under my belt. I loved how simple it was to set up instances, get them running, working with them for a while and then how they can easily be discarded or modified on the fly. Pros: -Free Account: Google Drive is one of the best value cloud storage options. If you are looking to get a free cloud storage software suite right off the bat you get 15GB of free storage. This is much higher than the competitor freemium accounts like Dropbox and others where you only get 2GB of storage for free. Cons: Not as Mac Friendly: With Google Drive to sync to a mac desktop, you need to have the storage available. Well guess what? Apple has been making the storage smaller and smaller (SSD Drives). Overall: Google Drive has an amazing value if you are looking for a free cloud storage option. It also has good prices if you wan't more than 15gb of storage. It directly integrates with all of Google's other applications such as Google Docs and Google Sheets. It usually syncs pretty good between multiple computers (Mac or Windows). However, if you are using the new Google file stream I'd recommend only using on Windows. Dropbox may be a tad bit more user-friendly and maybe it has a little bit more connections with other apps because it was the first company to kind of offer these cloud-based. Storage Solutions. I would say that Google Drive is better than Dropbox if use Google Drive applications such as Google Docs and sheets. Pros: This software platform is much more than one single concept of software: it's the starting point for accessing all of Google's Cloud Computing services as well as the background APIs that operate at code and scripting level inside of shells and IDEs. Ostensibly, any common computer task, client, service, object, or node can be made in to a Google Cloud Platform instance, from virtual disks and machines, to process rendering, to gaining custom access to nuanced aspects of the individual Google Apps which are offered as the common App Store offering for everyone; yet as for full functionality, API access is necessary. In addition, there are very notable, special, cutting edge technologies that truly transform the concept of user interface and user experience in the context of all things Google: some of the language and visualization Cloud Platform offerings are very exciting, a heralding of a new age in computing, marketing, and IoTs to come. Cons: It's a vast expanse of software development to wrap one's focus about. That being said, a developer would be lucky to get some hands-on, real-world context of what the Google Cloud Platform Apps and APIs are fully capable of. There's not a whole lot to dislike; Google Developers on every Google product offering constantly update their literature and sites, co make sure that the content is presented well and that users have the means to learn by doing; going forth with the flow of context in development that pops up, from moment to moment; I suppose it [could] be more fluid, but then again, I am a common consumer developer and this is a beautiful array of modern computing leverage at my fingertips, potentially. I just have to learn to use it. Overall: I've just started with Google Cloud Platform, bug they've been very generous in offering free small samples, trial offerings, and at that, the technology itself is inspiring, from the literature provided, and based on the descriptions. Essentially, a developer could scale an enterprise or computing task, or app at full Google thrust, at scale of course; yet it's not at all a paltry offering; significant and invaluable [previously] development tasks of an ad hoc nature are now, very simply put: offerings of tasty tidbits of modern day tech and lifestyle to-do; the results are visible, within a dedicated focused development session; connecting with the literature of the Google Cloud Platform app and the offerings therein will engender a deeper appreciation for how far Google's surfave-level apps have come, with the advent of Cloud computing and processing power, built on Google's rich foundation in logistics to carry out these tasks for the consumer, prosumer, developer, startup, and beyond. Pros: The Google Cloud Platform is an assortment cloud development tools - in my case, for web development. I utilize their Compute Engine, SQL, Storage, a number of their networking tools. I've found getting these different tools to work together has been very easy. One of the things I love about using Google Cloud is how easy it is to launch additional tools, create separate operating environments for testing, and bringing in 'tested' environments into production status. Cons: My gripe isn't unique to the Google Cloud Platform - it may simply be the reality of the billing model used by most cloud providers I've used - costs can sneak up quickly if you're not paying attention. Since the costs associated with the cloud platform are all variable expenses based on items such as time in use, storage fees, or network thru-put, it often takes a few days for Google to properly offer up the estimated monthly expense. I've had a few painful surprises over the years so watch your billing estimates carefully. Overall: I've enjoy using this product. It makes development time faster and it integrates very well with a wide range of Google Cloud / API products. Pros: you have a computer that uses MS Office 2003, 2010 or 2007, you can use the Google-Cloud connect feature to connect with other people in your organization. This feature allows you to simultaneously share and edit documents in Microsoft Word, Excel and Power Point with other people in different sections. It is possible to use MS Word along with the benefits offered by Google Docs. Google-Cloud connect works to synchronize and share documents. In addition, it monitors and manages all the modifications in the MS Word documents and compresses them into an updated version. Each document synchronized with Google Cloud Connect is assigned a special web address or URL that can be shared with other partners by email or instant message. Other people can see your Word document every time they click on the URL, depending on how you configure your privacy settings. Simultaneous document collaboration through Google Cloud Connect also allows you to add more people, such as document editors. In return, they receive information by email to notify them to share the document with them. From here, I can access the document through the URL of a link in the browser. Any of your partners can implement changes to the Word document, which, however, are synchronized and displayed on your computer screen. It is also possible to download the document and make changes in MS Office. Cons: Expensive storage costs Expensive rates of download Costly support In conclusion, this software plays a vital role in computing as compared to other software. Overall: Provides a real-time messaging solution for Android users. Many Google services support the application and can be seen in the Google Maps, Market and G-mail accounts. Factors such as the order and delivery of messages sent to developers and their destination application would serve a particular dedicated server or service. This feature represents the bridge between the developer's server application and the Android device. Pros: The Office tools in Google Cloud are much better than Microsoft 365. The best part of G suit in Google Cloud is real time synchronization. When I work on reports with my remotely located colleagues, I can see them editing specific sections of a document in a real time. This helps alot in not repeating the work on the same section. Google Cloud shows all of this in form of different colors and small icons on top left of the document. When you click on the icon, the document jumps to the point where that person is working on. Other good feature is version control. In case if I am not happy with the new edits, I can revert the document to an older version. Cons: The only part which I dont like is their slow evolution. Google is very slow in adding features in their G Suit which means at the moment, it is unable to compete with the Desktop based MS Office. But I can see it coming very quickly and very soon, people may stop using Microsoft Office on their computers.. They may only use the online tools like Google Office. Another part where Google need to improve is their slides which is like Power Point from Microsoft. The slides from Google are still at their very early stage and need to improve. Overall: I have been using Google Cloud on daily basis for like 4 years. Alot has improved over time with their individual programs like Word, Slides, Excel, etc. But some tools like Draw is still not able to compete with something Inkscape. Pros: Google Cloud Storage is easy to use and its interface is very nice, it also has a wide range of servers, which makes its services are excellent. This software has allowed me to easily access my files and share them quickly and efficiently, it also allows other activities while loading and downloading files, therefore saving a lot of time compared to other similar applications. Cons: The only negative observation I have of this software are its prices, I consider that the rates for downloading, to acquire storage space and to receive technical support are very high. I believe that technical support should have lower rates or even be free because it is essential especially for users who are learning to use this software and may have difficulties. At some point this software was constantly being updated which was annoying when trying to become familiar with the new tools and interface, however today I feel that it is much more stable. Overall: This is my favorite software for storing information in the cloud, I use it both personally and at work and I recommend it because it has allowed me to access my information very quickly, so far it seems to me that security is very good and not I have had problems with this aspect, although it can work very slow when the Internet connection is not very good, it allows to resume file uploads instead of restarting them every time the signal decreases. Pros: We utilized the Google Cloud Platform primarily for a VM running Win Server 2012. What we liked best with GCP, was that it worked. We tried several other platforms, but were unable to get them to work with our onsite hardware. GCP was the first platform which allowed us to establish a 3-way VPN tunnel to multiple physical locations, with the firewalls we had installed. Combine this with easy data backup tools and various other features, it made for a easy solution for our needs. 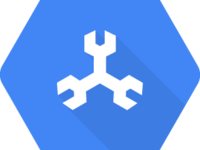 Cons: The GUI/website control panel area is relatively limited, and to really maximize your use of GCP you need to understand the Console commands and how to use the console to setup your servers and manage your settings. This requires some more advanced knowledge and training beyond a consumer user. Access to any type of support is locked behind significant paywall. 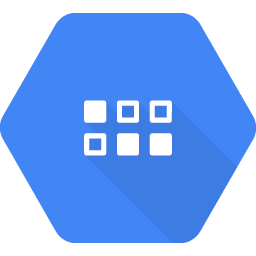 Overall: Our goal with the GCP was that we needed a server to be accessible from anywhere, and decided instead of purchasing a physical server, we would put our server in the cloud. It worked well, and we utilized it as our SQL server for our data from our stores. Very high speeds from Google, so there was little to no delay on data traffic. Pros: I will start by saying that I am not an engineer, I am a Social Communicator and I have been working in digital environments for corporate areas for at least 6 years. That said, it is not difficult to imagine that part of my work is related to developing email marketing campaigns. Task that I perform with a team with profiles of different areas of the company. However, having to send thousands or maybe millions of emails can be a challenge for any company, but having the operational capacity to support operations of this type can be even more so. This is when, based on our experience, I can speak in plain terms about Google Cloud Platform. A tool that undoubtedly was the best choice for the company, since the idea of having dedicated servers is part of the past. Nowadays the best option is to bring services on demand to public or hybrid clouds, and we just did that. Cons: The disadvantages, in my case, could be associated with a topic of use. In technical terms, and again I'm not an engineer, I think it's a phenomenal tool. I do not remember a single opportunity in which we lost a campaign for a technical detail. Overall: In general it has been a pleasant experience, I believe changes in the processes of the companies point towards their Digital Transformation and that is something vital for the industries of all the sectors. We are talking about a new era. Pros: Your Google account is linked to everything and by them making everything available to you on the cloud that also come with your Google account for FREE is AWESOME! I remember the first time I found out that Google had come out with Google Docs and my life was changed! No more having to use Microsoft word and I could share things through my Google account whether it was a document, sheet, Slide show presentation, or a random file on Google drive! Cons: The only thing that I don't like is how on Google drive the Trash is hidden once you delete something and then once you delete everything in trash it will clear up your space, but the trash itself never deletes so your drive just keeps filling up. Overall: I've used this in my Photography business to share photos with clients and to even move stuff from my phone to my computer or my computer to my phone and it makes life a million times easier. I've even use Docs, Slides, and Sheets for school projects and many other things because they are super easy to share and take up zero space on drive! Awesome Platform! I absolutely love it. Pros: A must have, really, for anyone who works as part of a team, particularly from different and remote locations. Users with a google account are able to upload files or folders to the cloud, where they themselves can be immediately accessed via sheets (if the file is a spreadsheet) or docs (if the form is a document), etc. The files are easily shared with people who have a google account or those who do not. It is immeasurably fun to be able to work on a file with a co-worker from a different country, at the same time. Yes, there are competitors like Apple Cloud, but google cloud has a broad user base and in my experience, is easier to use. Cons: Hmm, it's hard to say, but I think it might be the inability to really organize files. I have files uploaded for use, but cannot figure out how to arrange them either by date or alphabetically, or in any other order. I *think* the files automatically arrange by upload date. In reality I wish I had better control over how files were viewed by me when using the cloud. But, honestly, this is a minor point. I can easily add and remove files. Pros: Great platform to create, deploy and maintain cloud applications of any size for everybody who don't want to get stuck in all those low-level server and os administration. Provides most advanced technologies including Kubernetes and serverless applications, has pretty useful management console that can looks a bit messy for beginners but really amazing comparing to competitor's management tools . Has pretty tight and seamless integration with wide range of Google services API, from Google Maps to Google Docs. Last not least has free tier that is enough for learning of platform, education and even some real "pet" projects. Cons: A bit complicated and sometimes confusing price models, prices for some services are unreasonable higher than competing. Overall: I recommend this platform for wide range of customers that have not super tight budget for their application hosting but want to stay away from bunch of low-level details of running and maintenance of application infrastructure. Pros: It's public, accessible anywhere so long as there is a WiFi connection, and it's easy to share creative material with those either in classes, small businesses, etc. with many different uses from slideshows, storing files, or sharing files, Google Drive is a free software public to anyone with a google email. Files are easily shred through the click of a buttons. With up to 50 free gigs, businesses and students alike need not worry about space. Cons: Mobile platform is an issue. When traveling, or using another device, it's harder to log into your account to share. Especially when you recently acquired a new number and never changed your contact info. You are left locked out and can't log in to till ona. Computer or device the drive recognizes. That could e troublesome for deadlines and such. Overall: I've been using google drive for about 5 years. Hardly any complaints, the customer service is always respectable, and it's an easy software to navigate yourself astound. Pros: Our company has entered into the Google Ecosystem for most of our online apps/services (e.g., mail, suite, cloud). We then decided to try Google Cloud Storage as a backup place for our internal data (coming from on-prem servers). We're very happy since the interface is really easy to navigate and learn. Google provides you with enough documentation and easy support. Google is a Huge company, and we don't fear it closing shop any time soon. That's why given a choice between Google and the other (small time) vendors who approached us, we decided to go for the company who has a track record of safeguarding data across multiple continents and also deleting data (in fact crushing physical HDDs) once corporate data is deleted by the user. Cons: We were assured that our data is safe with Google. Yes, just make sure that your connections are secure (from sniffing, secure ports) and you're good to go. Pros: With Google Cloud Storage, you can always access any of your stored items anytime, at any location. Again, the security of Google Cloud Storage is paramount, where, there is the two step verification procedure before gaining the access. The aspect of content management in Google Cloud Storage is also interesting, and worth a smile. This product is always stable, where no major errors encountered when running it. Cons: Unfortunately, Google Cloud Storage is highly rated in terms of prices. I think Google forgets that there are some individuals or organizations that have no adequate cash to implement Google Cloud Storage. I would recommend the vendor to be considerable and inclusive. Overall: Google Cloud Storage has assisted us in storing our files and documents. While at any location, we can access all the items we have stored there. Again, the security concerns of Google Cloud Storage is guaranteed. The support team of Google Cloud Storage is always online to offer any assistance. Never have a problem with google cloud. Overall: My overall expirenve with this program was fantastic. You get the smartest people at google to help you with any problems. There aren't many problem that you will run into because this program and storage device wa made so well. Pros: As I'm heavily involved in the Google ecosystem, Google's Cloud Storage is brilliantly straightforward. Depending on how you have the program set up - either online or through an application that lives on your desktop, dragging and dropping files to and from Cloud Storage couldn't be any more uncomplicated. Plus, new users who meet certain criteria - like updating personal security, or share the program receive additional free online storage. Cons: To be honest, can't think of one. I've never had a huge downtime or had any of my files lost or deleted. If I had to point out one problem was the occasional mishap of a file or folder being copied twice or so and appearing twice in the website or desktop app. But still, not a real problem. Overall: I use Google Cloud Storage for protected personal files and occasionally sharing files with my work email that contains patient information. I feel like my information is secured and protected. What's In a Cloud...Google Cloud the Best! Pros: The pros to this storage option are numerous. You get what you pay for. No more eating up your hard drive. It is secure, HIPPA compliant. Infinite storage available and the cost is competitive. Easy to structure for quick access to stored files. Cons: If there is one complaint it would be storing .pdf documents. the file and make it an editable document. this may be a little confusing as to why another program is accessing a document, and then asking you to pay a fee to print, store etc. That little eyeball icon, will let you view and print stored documents that you own at no charge. So, with that said Google may want to make a larger tutorial for those just starting to use Cloud Storage to point such things out. Pros: The array of tools is very impressive, intuitive to use, and well organized in the sense that you don't have to go looking for individual apps. They're all easily accessed via a single dropdown. Cons: Honestly, I really like everything, except the Gmail part. I just really prefer Outlook's layout. Google's is really clunky in my opinion. Adding a simple folder is not nearly as seamless as Outlook, for example. and they call it a "label" for some reason. If it's even an option, I haven't figured out how to sort the inbox like you can easily do in Outlook, like sorting by contact, date, etc. I limp through email but wish it was better. Overall: I run a small website agency and we use Google Cloud Platform as part of our day to day. Email, sheets, calendar, contact, My Business, YouTube, and love the quick access to tons of day to day tools, that we regularly use. I also can easily manage my clients' accounts with the click of a button. Really easy and efficient. Overall: For basic usage this platform would be fine, as it does the job and does analyze the data and to an extend big queries. If you are looking for a professional platform for your startup or any type of large data, then you might want to go for other programs. 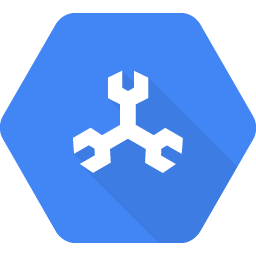 If you have your data already built and would use it to perform queries or analyze the data, than Google Cloud Platform would be ideal. In conclusion it is not a bad option to go for, the user just has to make sure this is the ideal program to analyze your data. Pros: The thing i like the most about this software and what a lot of people would also appreciate is that it frees up space on our devices, we don't have to worry about having to delete stuff to free space anymore, our data will be safely stored up there in the "clouds". I also love the fact that it has a ginormous capacity with 5 TB. I mean that can be a useful to each one of us to be honest. not forgetting the fact that it is completely free unlike other storage system that make us pay to have less that 5 GB. Lastly i like the fact that it can be used on whatever device, even if its an apple. it does not matter. it doesn't have to be an Android device. Cons: What i liked the least is maybe the layout of the whole software cause it gives me the vibe of "we don't care about beauty. We care about quality" not that it is ugly or bad, no. But from an esthetic point for me I could use more colors and more smoothness in it. Overall: I never knew about it but when i did, i started loving it and recommended to literally everyone i know. Pros: Since it's made by one of the best companies in the world with top-notch programmers and has excellent servers to host your data on, it's so easy to access your files on your PC or mobile device wherever you are, and upload whereever you are. It's easy to link to your files to share them with other people you might want to share them with, and you can sync certain file types to your cloud storage to automatically upload them. Cons: The thing I liked least about google's cloud storage is that I had a bit of a problem when I started to use it back in the day when it first came out and got popular to use. It was just a bit of a pain to set it all up on my PC's, my personal phone and work phone, and I got confused sometimes as to which account was which sometimes. However, that is my personal experience and isn't actually a problem with the software itself. Advanced Storage that is Reliable and Safe. Pros: One good thing with Google Cloud Storage is that it is a cloud-based product, which means, the user can gain its access any time, at any location provided he/she is an Internet connection. Again, it is easy to use, customize, and scale. Its security is paramount, and no one who can have its access without the authorization or having the logins. Cons: One issue with Google Cloud Storage is its price. For one to have that premium Google Cloud Storage, for the purpose of massive storage, he/she must have adequate cash. Otherwise, Google Cloud Storage is a safe and perfect online storage platform. Overall: Google Cloud Storage is one of the best online storage tool that our organization have ever had. This tool is easy to use, scale, manage, and even customize. No major complain for this product. It supports the sharing of files from one user to the other. Being could-based, one can have its access any time, at anyplace. Google Cloud Storage allows for easy online storage of files! Pros: Google Cloud Storage is the best software on the market for uploading files to the cloud. With Google Cloud Storage, you can upload a certain amount of files dictated by size, according to the plan you pay for, and with these connected to your Google account, you can share them with people, or just leave them there for safe keeping. Having backups of crucial business files are always a necessity, with Google Cloud Storage, it makes it extremely easy to not only store the files, but to also retrieve them when you need them! Cons: The only thing that can come to mind that would be annoying with this software was that sometimes when trying to share files on the Cloud with coworkers, it would just not share at all, or there would be a massive delay in when I shared them and when they received them. Other than that though, everything is perfect with this. Overall: This helps when we want to keep files online that in which everyone can access and view, as it is easier than sending a mass email out, which is what we used to do. 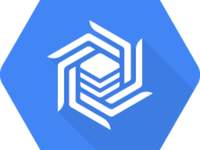 Pros: GCP has tons of excellent APIs and has the strongest feature set and platform for development of new tools, apps, and systems. We have seen it scale fast and scale up to whatever needed which highly suits our needs. It is often cheaper due to sustained usage discounts and committed usage discounts and carries so many more secure services than the other major platforms. It's just the best. Cons: Some commands can be a little lacking due to security best practices designed by Google Cloud. Cross-project scripting can be difficult, so we've had to wrote some circuitous meta-scripts in order to share and access information outside the confines of a project. Overall: Excellent! Over the past few years, the commitment to GCP and the new developments has been incredible. We've seen so many commitments to growth and so many new and amazing things. It just keeps getting better. Pros: I love the flexibility that Google Cloud Platform offers: I was able to launch an instance within 2 minutes, set my IP from ephemeral to static and login to my server with the credentials. As soon as as completed password change, as advised by Google Cloud Platform, I was able to launch a 3rd party application, via their Click-to-Deploy solutions, and launch my multiple websites. Amazing experience. Cons: The customer support through very professional is not instant (chat or phone). I also found that dedicated customer support can turn out to be very expensive. Furthermore, no real support is offered on 3rd party applications. Overall: Overall, Google Cloud Platform is the best solutions. I wouldn't change for anything, even if I was offered a server for free. Google Cloud Platform is amazing. I recommend very very strongly. Pros: I use this software a lot for the workplace. I have list of patients and documents saved and am able to take them from desktop to desktop with me. Not to mention when your phone decides to quit working or you get water damage, your pictures and lots of other important things get saved in this cloud. You can set it up to automatically back-up your storage and I keep it on that function for the simple fact that pictures mean a lot to me. With a hobby in photography, this program has also became helpful in the sense of saving myself storage space on different devices. Cons: Sometimes it doesn't back up or it may miss pictures here and there. But, I have found that usually happens only if you don't have it backed-up properly. Pros: Google Cloud Platform is one of the best cloud platform I have used. I have used Microsoft Azure and other cloud platform but I found Google Cloud Platform to be the best and more cheaper. Also they equally give out a free trial to all first time clients who are using the Google Cloud Platform service. When I first signed up I used their free trial before subscribing to their standard plan which gives me more benefits for my business. As an internet marketer who host website with heavy traffic you can simply use Google Cloud Platform for that because I equally use it. Also Google Cloud Platform provides me with other things that I can't really write about all here because the benefits are endless and they respond to inquiries faster. Cons: Google Cloud Platform is fast but sometimes it does not work in slow network area. For the fact that I was able to expand my business using Google Cloud Platform, I was not able to access the cloud platform once I am out of good network area and it will be nice if Google can work on that aspect of allowing slow network to have access to the cloud platform. Overall: Google Cloud Platform enables me to expand my business even though I work alone with no additional work yet. It ease my work for me and fast compared to others. Easy and reliable Cloud storage. Pros: The most important thing about Google's Cloud Storage is the fact that it is incredibly user friendly (They also have a lot of guides for new users), the data is well encrypted and secured, they have a fair price, and beyond that, it adapts to your needs, depending if you are part of a big company or a smaller one. Google have invested a lot of money on making their Cloud Storage System a durable and reliable infrastructure (Like everything they do, to be honest). Cons: The prices are fair for the infrastructure that Google manages and the quality that they offer, although, it might be somewhat pricey for someone giving it a personal use, other than that, I cannot really think of something bad. Overall: Easy, reliable and secure Cloud Storage System. Pros: Google has provided a cloud network where we can easily use it for personal, business, or school. I can see spreadsheets from home, upload my photos from my weekend, and work on a PowerPoint all in one platform. It's very user friendly- where multiple google users can all have access to multiple projects and each edit and contribute as needed. Cons: Not everyone has a google account which is needed to have access to update and contribute to different aspects of the program. Sometimes you have to push others to create a gmail account so they can get on board! Overall: It's made my life easier. It's full of useful tools which again are used in both my personal and work life. I have used this network through my schooling and it always finds a way to be relevant in each stage of my life. Pros: I have been a Google Cloud Platform user for over decade. I love the convenience of being able to store all my important files in one place with a 15GB storage capacity. Whenever I am trying to get a new contract I know exactly where to find my resume and I do not even need to have my laptop with me to access it! I can login from any mobile device or computer and it is right there at my fingertips. The drive is also compatible with other Google apps, such as Google sheets or even Gmail. So, when that contract does come in I can easily save it from my gmail to my drive. And it is all free!!!! Cons: Limited storage - although doubtful that you would ever use up all the available storage... if you are like me. Pros: It is rather intuitive and the bugs/glitches are always minimal as Google is so popular. Google is also realizing that they need to focus on the educational market so that kids grow us using Google products and desire them in the workplace, so the features and functionality have been steadily improving. Cons: Since they are always changing/updating things, we always have to pay close attention to what we are doing because if they move a button or change a menu then you could end up doing something opposite to what you intended to do. Makes it kind of annoying to keep up with, but lately they have been better about letting you know the changes that were made so you don't get caught off-guard. Pros: Google gives anyone the freedom to run cloud-based apps or computing processes for a token of what's obtainable at almost any other vendor. It has the ability to build powerful cloud servers on almost any platform, ranging from Debian, to CentOS, to Ubuntu, to Windows, etc. It gives the ease to upscale or downscale cloud server resources as needed per project. Its dashboard features an intuitive interface, live pricing when building new machines, etc. Best of all, Google offers a free $300 credit for new verified signups to get a taste of its cloud services, which can go a long way in helping new developers finetune their projects before actually having to pay for anything. Cons: Almost no complaints. Its high end GPUs are a bit expensive though. Also, when instances are created in other regions, some error keeps giving them USA as their location. 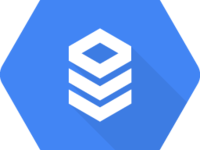 Pros: Google's Cloud Platform allows you to seamlessly link, share, update, create, and manage all of your files. Anywhere. Anytime. Cons: The biggest downside to the Cloud Platform is when using it on a cellular device, it can burn through a lot of data if you are uploading or downloading large files, such as photos and videos. So it is something to keep an eye on. Overall: The Cloud Platform is wonderful and truly an amazing way to connect. I am part of the IT staff for a school corporation and we have all of our employees using it. With it we can integrate multiple users into documents and projects, on their own time. No longer do we have to schedule certain times for every project and meeting alteration, now we can do it all real time from multiple locations. It is the most user friendly cloud environment that I have worked with. Pros: I like the user interface of Google Cloud Platform because it is friendly and easy to use. I can create a lot of things using it, including mobile applications and business and personal websites. It also provides enough storage files for all our company's documents, which makes it a reliable cloud-based storage software. It gives me access to excellent and easy to use tools. Cons: Google Cloud Platform is a perfect tool that we rely on very much for file storage. However, in terms of space, Google Cloud Platform is somehow expensive, which keeps small businesses and other entrepreneurs away. Considering that some firms do not make a lot of money every month, Google Cloud Platform is expensive. Overall: Although Google Cloud Platform is somehow expensive, I like the experience I have with it. It has assisted us a lot in storing our documents on the cloud. I also use it to store my own files because it is secure. - For the price, you really do get a lot. The platform comes with access to Drive, as well as Google's suite of other tools (Docs, Slides, Sheets, etc.). Cons: I suppose nothing is perfect, but nothing stands out in my mind. It can at times feel like they're conducting an experiment on you - because they are updating/changing - but this is for the purpose of providing a better user experience, so I think it's worth it. Pros: The google cloud platform is amazing in my opinion. You can save your documents on it without worrying about loosing them. Just think about it, it's google so you know their cloud is very secure to hold all your documentation or even your personal work. You can set up a Google account to access the cloud and your will never run out of space. At least I have not. Saving documentation so you can access it from anywhere. All you have to do is sign into your Google account. Cons: Once in a great while the cloud takes a while to load. However, this could be on my end but I'm not quite sure. Overall: I use google cloud to store most if not all of my documentation for you paperwork at my job. It is easy to navigate though saved documents. Pros: Google offers freely 15GB cloud space for every google user. Google cloud comes with very high security features, and data protection methods. Google cloud storage comes with all the google office suite tools. Google cloud storage can manage using the web browser and smart phone clients and all the Operating Systems through Google cloud client. Cons: If we need more space after the 15GB data is full fill cost is very high to buy. 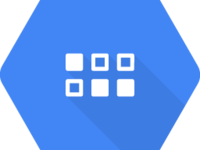 Overall: Google cloud tools full fill the user needs with cloud computing architecture. Google provide many cloud based and web based tools with the google account. It helps to manage and access to any device with internet. Google cloud helps for user share files, backup files, group sharing, real time updating documents sharing and many more. Pros: Google offers its Cloud Platform for free for non-profits. It is a fantastic option for churches with it's many apps (docs, sheets, etc.) especially in a church such as mine where the team and volunteers are increasingly spread out-- it's rare we're ever in the same room together. Cons: There is little to not like about getting Google Cloud Platform for free, but I will say it is very, very difficult to get set up and activated. Then, once set up, the admin side of things is quite complex and difficult to navigate even for me, a pastor who thinks of himself as quite savvy with such things. Overall: The free non-profit version allowed us to transition from an old version of Microsoft Office even on a tight budget and improved our productivity in the process. Pros: If signed into Google on your web browser, or even more conveniently, through your computer desktop, Google Cloud Storage will not be any more helpful than it already is. Google will store all your files, allow real-time editing and sharing between co-workers in its connected apps, and allow you to provide shareable links to outside parties. With free storage protected and managed by Google, I feel like that Data might last forever. Cons: If I had to complain, it would be Google's tendency to force you to upload folders (as opposed to files) through its Chrome Browser. If trying to upload info from Safari, data upload may be slowed and only allow individual files to be uploaded at a time. Pros: In my opinion and from my own experience that this is a pretty good platform, it is easy to use, complete and the truth its interface is usually very pleasant for all people. I like it because we always want to have our files at hand and many times due to lack of storage we do not have them on our phones, with this great platform it is much easier to access our files besides being able to share them quickly with our friends. Cons: As with most Google tools they have thought of everything. I believe that for the price you cannot beat this utility for a small/medium sized business. In regard to larger businesses I do know know whether they would wish to store some of this information on local servers but if that is not the case I see no reason this should not be their main option for cloud storage. Best decision we ever made was switching to Google Cloud Platform. Pros: We switched from using our own servers in a server farm to the Google Cloud Platform about 5 years ago. It was the best thing for our company. At the time I was the only Developer/IT manager we had. I was rushing to the server farm whenever we had an issue. With Google Cloud we haven't had an issue. If we do I can fix things from my own computer where ever I am. Upgrading servers takes seconds instead of days. and downtime is not in our vocabulary any more. I am SO happy we switched. Cons: The only thing I have to complain about is finding the docs you are looking for. Once you find them they are very helpful and easy to understand, but finding them can be hard at times. Pros: The e-mail search features and functionality are amazing! Overall: We all know google is amazing - that's why it is the number one search engine and has become an English verb. Their cloud platform for businesses is a must-have! After using google mail and the integrated apps, I can never go back. I tried using something else for a little while and was about to pull my hair out. And at nearly $5/month per user, it makes perfect sense. I love that I can have my domain in my google e-mail (e.g. user@mydomain.com) and can integrate my calendar, e-mail, spreadsheets, word docs, and everything into one software platform. I regularly recommend google's cloud platform to other businesses! The e-mail alone is well worth the cost. Pros: I honestly like the user interface and features available on the Google Cloud platform. The documentation is really helpful and well written, I find it very easy to understand and learn how to use the products. The fact that I was able to integrate seamlessly my computing server with the Bitnami Lamp app was also really cool. I have used other cloud platforms but I think Google Cloud platform is one of my favorite so far. I would highly really recommend it. Cons: I had trouble trying to figure out the Pricing, I don't like their pricing calculator, it's just too complicated for an average Joe, I wish their was a way they could simplify the pricing information and break it down in such a way that an average person would understand, they can use info-graphics and Gif to illustrate the different pricing scenarios etc. Pros: My favorite thing about Google Drive is all of its functions. The organization is awesome. The simplicity is outstanding a toddler could seperate their toys in it and would be so excited about how easy they could find each toy where it belonged and where he left it, the layout about the whole software has no flaws in my personal opinion. Cons: Well I know that everything in life is not free but I am person who loves free things and I think they could offer a tiny bit more space. Overall: I am able to put all my finacial record regarding my student loans all in one place. My assignments and due dates are so easily found where they can be turned in on time. I can seperate and eaisily organize all my course materiel. Pros: I use this for both my work and school files. I find it great when you need to share files with others. Its also nice because you can easily upload to google cloud and access it from wherever you are and whatever device you are using. Cons: I sometimes find Google cloud hard to navigate and find what file I am looking over. It also could be easier to upload files or folders than it currently is. I tried to select a folder on my desktop and it kept trying to upload my entire desktop instead of that one folder. Overall: I use this both for my work files and one for my personal files. I love having this software and the amount of storage available. My only issue is sometimes switching between accounts can be a problem. Pros: I really like the Google Translate API that helps me in my work as I can easily plug it into other professional tools that I use. Cons: The UI is a common problem with many Google products. It takes forever to find an option you're looking for and it feels too complex for something that could be fairy simple and straightforward. Overall: I have been using several API offered of Google Cloud Platform (mainly Maps for my community for translators where I use Maps API to help potential customers find professional translators based on their location). I also use Google Translate API in some of my projects to get the gist of text that I'm working on. The overall process of using it is rather simple but due to very obsolete UI it can get quite confusing sometimes. Pros: The instance templates to launch a new instance . There is a lot of options based on operational system, Database and software products like CMS and many others. Overall: I have tried many cloud platforms in different scenarios and environments (development, testing and production) and for sure Google cloud is one of the best cloud options we have nowadays . You can use it for small projects and bigger projects because it is really simple to scale and get your needs satisfied as your business grows. It doesn't matter if you want a platform for your business, a customer or yourself . Whatever your needs are, google cloud can adapt to it. Pros: I love that I can store any and everything in Google Storage. I also like that I am able to store things and give other people access to them as well. Sometimes I can give full access where they can edit information and other times I can give limited access so my information stays the same but they can still see the information. Cons: What I like least about Google Storage it at times, it does not show the graphic of the document in the thumbnail. Sometimes it does, other times it just says PDF. Sometimes locating a document is easier if I can see a picture of it; however, this is not a deterrent for using Google Storage. Overall: Love all Google Software!